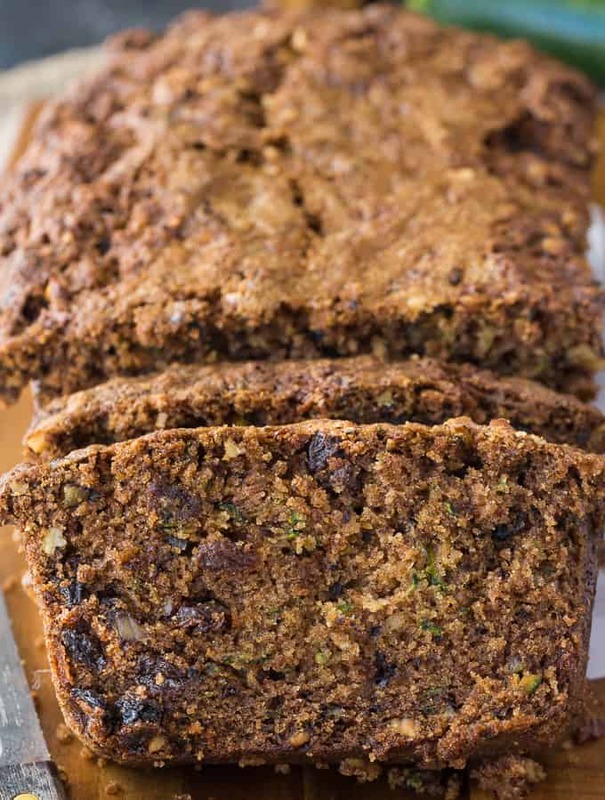 This Zucchini Bread is moist, sweet and delicious. My grandma’s recipe is the best zucchini bread recipe ever! 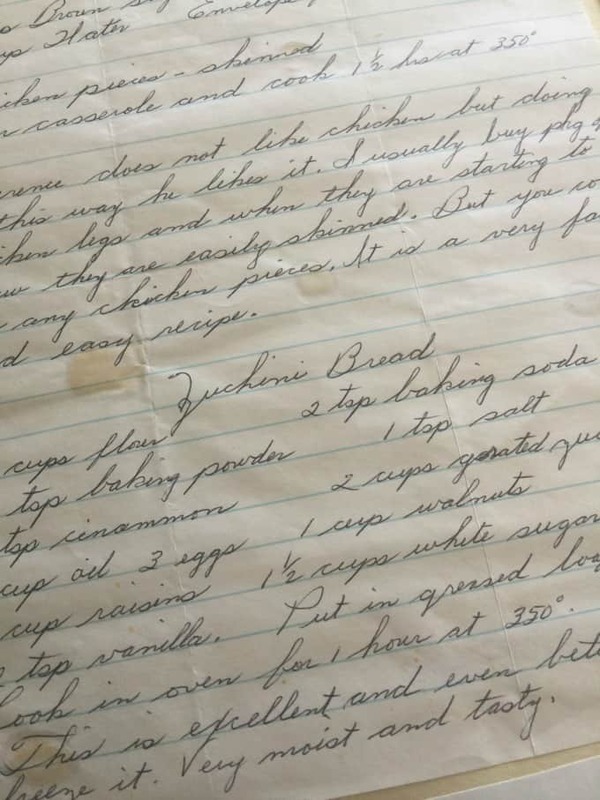 I was going through a drawer the other day and I found a handwritten recipe from my Grandma June for Zucchini Bread. It brought tears to my eyes because I miss her so much. It still seems unreal that I’ll never see her again. She passed away in 2012. I knew right there and then, I was making her zucchini bread recipe and wanted to share it with everyone. Grandma would have loved that. My mom and aunt say that Grandma makes the best zucchini bread. I remember her making it when I was a child and I wouldn’t try it. I was a zucchini hater (ok, I hated all veggies) and the thought of it in a bread was not appetizing to me. Little did I know that I was missing out big time. Grandma’s zucchini bread is sweet and not savoury like I thought it would be. Even if you aren’t a zucchini fan, I think you’ll like this recipe. The zucchini pretty much melts into the other ingredients and all you taste is its sweet, delicious flavour. It’s perfectly moist and you don’t even need to spread anything on top unless you want it. It’s good as is. I brought a loaf over to my parent’s house to share. My mom and sister were so surprised that I’d found Grandma’s recipe. Laura, my sister, gave a piece to her son, Emmet, who is 18 months old. He loved it. I think Emmet ate more than any of us. He was gobbling it up like crazy. Grandma June would have loved that! Do You Peel a Zucchini for Zucchini Bread? Let’s get into more details about the recipe and answer a few questions. My answer here is no, you don’t need to peel the zucchini. Like I mentioned, the zucchini melts into the bread, peel and all. 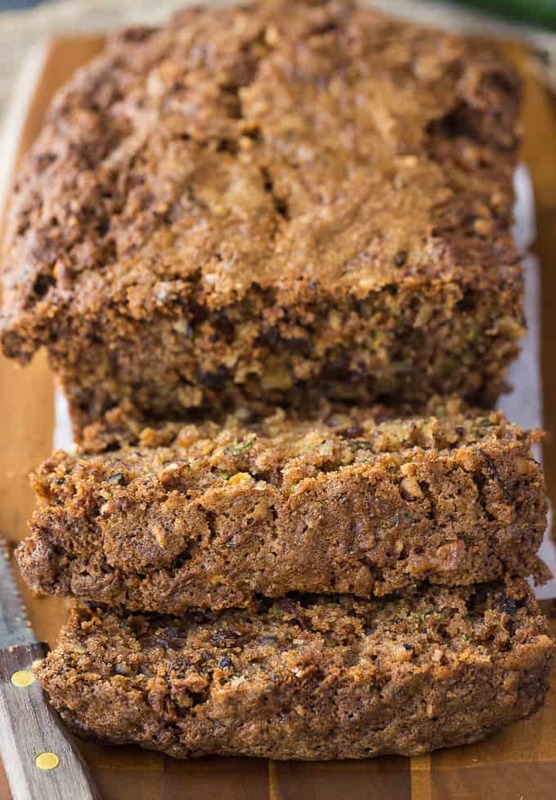 The green flecks you see throughout are characteristic of a classic zucchini bread recipe. I hate peeling veggies anyways so I’m glad I saved myself an extra step here. Whenever a recipe calls for something grated, I bring out my trusty ol’ cheese grater. You don’t need a fancy tool to grate zucchini. Use a cheese grater. Just watch your fingers as you get towards the end. Otherwise, ouch! Been there, done that. This recipe makes two loaves of zucchini bread. 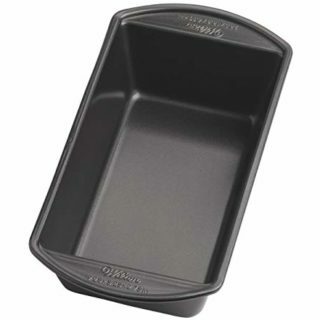 You could try and put it in one loaf pan if you wanted to, but it will be quite full and will probably take longer to bake completely. One trick I like to do with quick bread recipes is to line the loaf pan with greased parchment paper. It makes for easy removal. Grandma’s recipe says to just throw all the ingredients in a bowl and stir to combine. Yes, that easy. 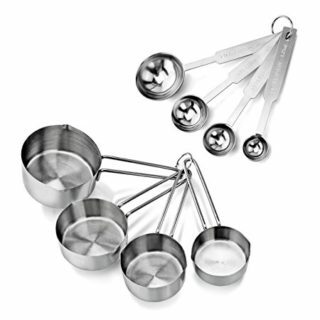 You don’t have to separate out the wet and dry ingredients like you’d typically see in a recipe. You are blending them all together anyways so why not save a dish? Bread recipes typically take longer because they are so dense. At the one hour mark, check your loaves with a clean toothpick inserted in the center of your loaf. If it comes out clean, your bread is ready to come out. Cool the bread on a cooling rack before you attempt to cut it into slices. I enjoy eating the zucchini bread as is, but if you wanted to spread something on top, try some softened butter. It’s especially yummy if it’s still warm from the oven because the butter melts right into the bread. Grandma June has us covered in her instructions. She says it freezes well. Take that second loaf and wrap it up for the freezer if you aren’t ready to eat it now. You’ll have a delicious snack to enjoy down the road. One interesting tidbit I learned recently is that zucchini has another name. In Britain, it’s called courgette. Canada usually follows British English, but I’d never heard of courgette before. It’s zucchini here. I was watching a video from a British food blogger and she kept talking about courgette and I had to google it. Who knew?! For more zucchini recipes, try Cheesy Zucchini Bake and Baked Zucchini. For more bread recipes, try Pineapple Cheese Bread, Pumpkin Ribbon Bread and Carrot Loaf. Did your grandma make zucchini bread, too? Moist, sweet and delicious. 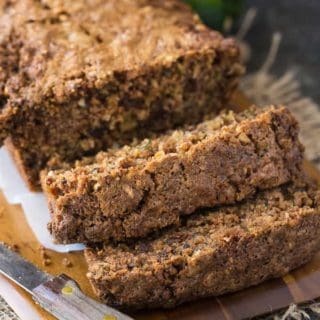 My grandma’s recipe is the best zucchini bread recipe ever! Preheat oven to 350F. Grease two loaf pans and set aside. In a large bowl, add all the ingredients and stir to combine. Divide mixture between two loaf pans. 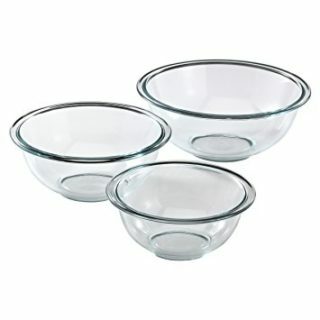 Bake for 1 hour or until a toothpick comes out of the center clean. Let cool before cutting into slices. I love zucchini bread! I always get excited when it gets to be the season for fresh zucchini! I always freeze one loaf since I tend to be the only one that eats it around here (and that’s just fine with me!). I’ve even been known to substitute the raisins for chocolate chips a time or two..
I’m not a fan of zucchini and not of courgette either lol. I don’t believe that courgette was ever in one our meals back home and my mum was a country girl from a farming area in England. Granddad had a massive garden with a big greenhouse, pigs and hens too. I loved visiting grandma and granddad. I enjoy zucchini bread. Like someone mentioned above I do raisins in mine to me i is sweeter. Around here zucchini grow like wildfire, I mean you plant one plant and you will end up with it seems a hundred zucchini . I garden but dont plant them I will get one or two from the farmers market. I love when you find a recipe like you did with meaning! 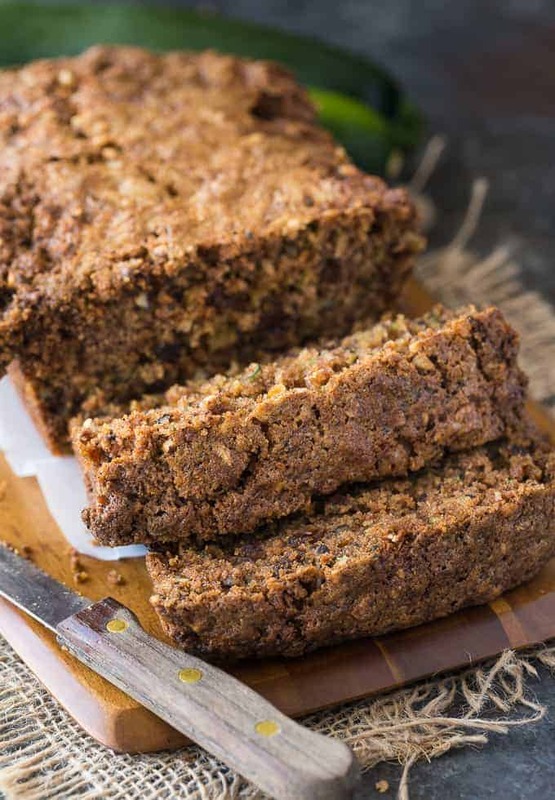 Zucchini bread is definitely a favorite in my family–I grow zucchini in the garden just so we can make bread! Food is a great way to remember our loves ones, I have that with some recipes as well that my mother made. This looks great. I love that you came across your Grandmother’s recipe – and including that photo is a wonderful touch. I have a few recipes from my Mother and my Grandmother. My Grandmother’s trophy recipe is for her Fudge Chocolate cake. We went crazy everytime she baked it – we loved it so much. Have i made it? No… the frosting looks too daunting to me. But it is carefully filed and clearly marked, so that when I get the courage I will make. 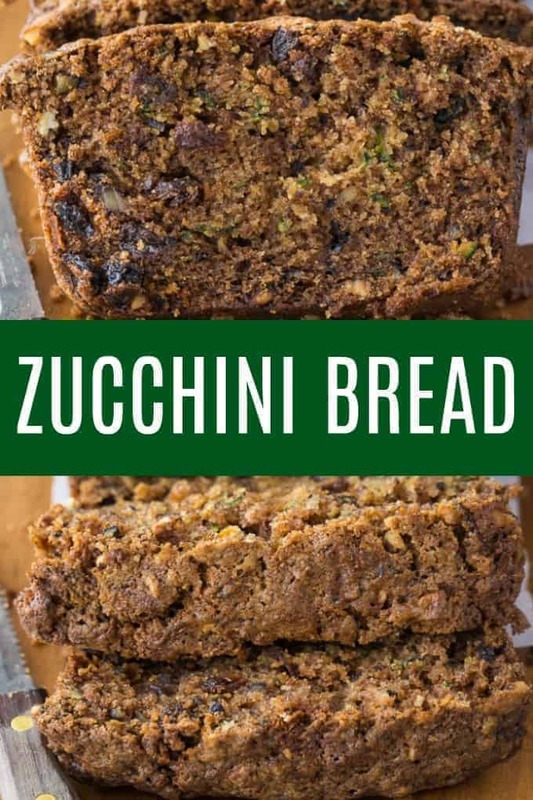 What I will make right away is this recipe for Zuchinni bread — I do love Zuchinni bread, and this recipe looks like a winner! Thank you for sharing this! Coming over from My Soulful Home link party! This recipe rocks! Tried it today and couldn’t help chucking some black olives in (I’m an olive fiend) which worked beautifully if anyone else is tempted to try! I followed the recipe to a “T”. I suspected the zucchini was too wet to add to the other ingredients, but since the recipe did not indicate to squeeze or remove the excess water I did not, (I do not alternate a recipe the first time making a dish), I wish I had. The finish product was moist, too moist, with each slice falling apart, and yes the bread was allowed to cool before cutting. However, that was not the major downfall with this bread, it is too salty. I googled other recipes for zucchini bread and no recipe I read required the amount of baking soda, salt and baking powder this recipe required. I wonder if the amount of flour is correct as stated. Your grandma’s recipe sounded good, but something is definitely wrong. Am I the only reviewer to find this too salty? The King Arthur Flour recipe will be the next one I will try, the measurements seems right in conjunction with the amount of the other ingredients. 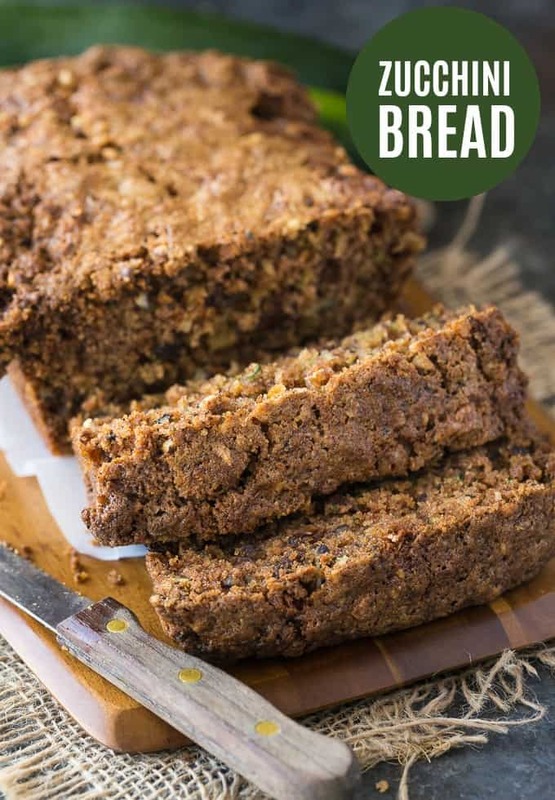 I so wanted this to be my “go to zucchini bread” this summer, since I started my vegetable garden last week and love zucchini and this is a one bowl recipe. I’m sorry to hear Grandma’s recipe didn’t work for you!